Umoya Energy Wind Farm has announced funding for a nearby farm, Theewatersvlei, as well as intensive mentoring and coaching, which will be implemented in partnership with the Department of Agriculture, over the next two years. “The greatest challenge facing most emerging black farmers is a lack of technical farming skills, capital and adequate mechanization. With the population increasing rapidly, it makes economic and practical sense for the Private Sector and Government to partner on strategic mechanisms to ensure that farmers are able to positively impact on food security in South Africa,” explained Veronique Isaacs, Regional Community Operations Manager for Umoya Energy Wind Farm. With agriculture being one of the major drivers of the West Coast District economy, Umoya Energy Wind Farm, situated close to the historic West Coast town of Hopefield, believes that it makes sense to support this sector, which has been directly impacted by the recent drought, especially considering that it provides employment for 15% of the provincial labour force. “The impact of the multi-year drought on the agricultural sector within this region, is far reaching with a significant number of job losses reported, and threatening thousands of jobs,” explained Isaacs. The World Wide Fund for Nature reported that the Western Cape was the country’s leading farm exporter. The sector employs about 180 000 workers‚ while the agri-processing sector adds another 126 000 jobs to the economy. However, a significant number of job losses were experienced from 2017. A multi-year crisis like this one has also put pressure on future production seasons, hence, the agricultural sector is seen as a potential investment opportunity for Umoya Energy Wind Farm’s enterprise development programmes, to ensure that job losses are minimised and the industry is assisted to recover. “There are a number of initiatives that could be considered for our Enterprise Development Programmes, in partnership with the Western Cape Government,” added Isaacs. 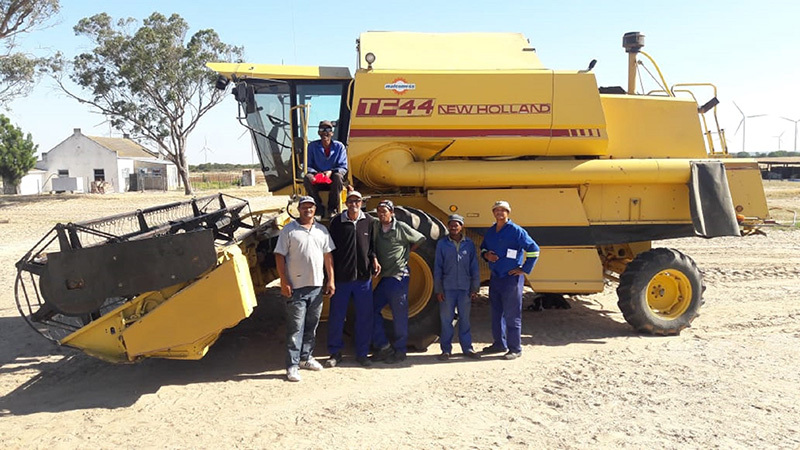 Theewatersvlei Boerdery, the grant recipient of a harvester and extensive mentoring and skills training, is a mixed farming operation, which incorporates livestock and grain crops such as wheat, oats and lipien. Wheat is sold commercially, hence the machinery will impact directly on the farms production and turnover. 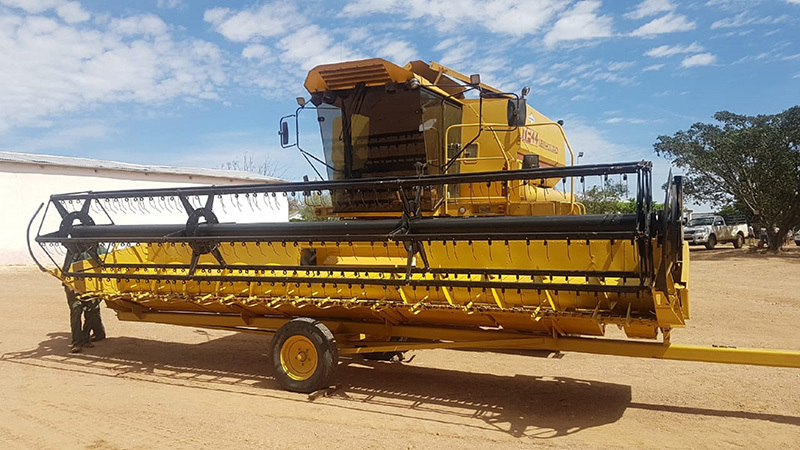 “The funding we received for a harvester is vital to the sustainable uplift for our farm, and will result in long lasting benefits, as we continue to grow stronger and make a difference in our community,” said Freddie Papier. Umoya Energy Wind Farm’s economic development approach is to empower and strengthen its communities through capacity building, skills transfer and funding of various beneficiary programmes. The aim of building communities’ capacity through the funding of various socio-economic development programmes, is to positively address local skills gaps and needs, and empower the communities to be economically independent and take ownership of their future. The approach is characterised by continuous engagement, the sharing of knowledge and experience, and a focus on relevance and practicality supported projects.